Vauxhall has decided that the time is ripe to enter a market that has until now been dominated by the Mini, the Fiat 500, and latterly the Citroen DS3. The Adam is marketed heavily on its style and customisation potential in much the same way as the other three, and boasts more potential combinations than one person could ever explore. 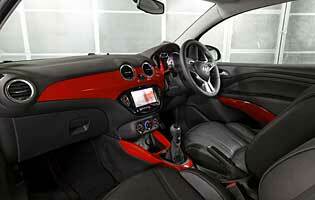 The basic platform of the car is simple, with a handful of trims and engines to choose from. No external badges are attached to any model, so visually none can be identified as a 'cheap' model. The petrol-engine-only range is instead focused on detail changes that allow individual owners to design their own perfect version of the Adam. The engine of choice could be either of the 1.4-litre options, which are noticeably more responsive and all-round enjoyable than the comparatively breathless 1.2. The larger powerplant makes better use of the shortened Corsa chassis' dynamics to provide a driving experience more fitting for the fun-focused Adam. Every trim level includes desirable luxuries like a leather-trimmed steering wheel. The breadth of customisation can be daunting and pre-selected option packs are available to make creating a finished car easier. 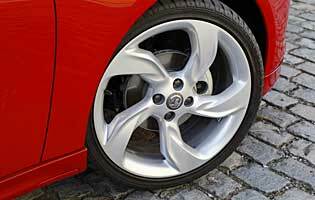 But those with vivid imaginations can run riot with coloured materials, exterior graphics, stick-on wheel trim accessories and interior textures. 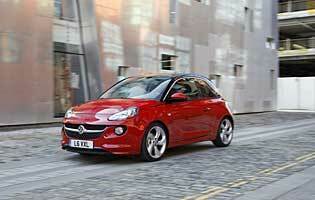 The result makes the Adam a happy-feeling place to be; an impression reinforced by the way it drives. Perhaps the Adam's greatest strength is that as well as being a good car it's brand new, which means a completely new set of possibilities for a new generation of drivers who missed the launches of the Mini and Fiat 500. It is uncharted territory, and that will attract many buyers for whom being new, different and unique is vital. 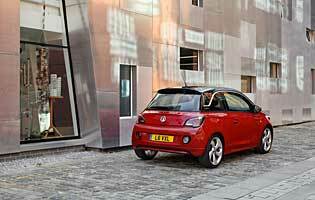 Sometimes cars sold chiefly on style fail to impress on the road, but not so the Adam. Its keen turn-in, zesty engine and all-round user-friendliness all make it as rewarding to drive as it is to design in the first place. The one negative that could be levelled against it is its price, which with so many option boxes available can creep up into costly territory very quickly.